I’m extremely excited to announce the release of a new dataset on Galaxy Zoo. For the past several months we’ve been working with collaborators from the Galaxy And Mass Assembly (GAMA) survey and the VST Kilo-Degree Survey (KiDS). The aim of the GAMA survey is to study cosmology and galaxy formation and evolution from scales of thousands up to millions of light years across. The science goals include furthering our understanding of how the mass of stars within galaxies builds up over time, how and when do galaxies form their stars, how are those previous questions related to a galaxy’s environment, and at what epoch did star-formation and mass-build-up dominate? Classifications from Galaxy Zoo will allow us to explore if, how, when, and where galaxies transition from one type into another, what impact this has on the formation of stars, and to look for new types of unique and interesting galaxies. The observations are from the Kilo-Degree Survey (KiDS) on the 2.6m VLT Survey Telescope (VST) located at the ESO Paranal Observatory in Chile. 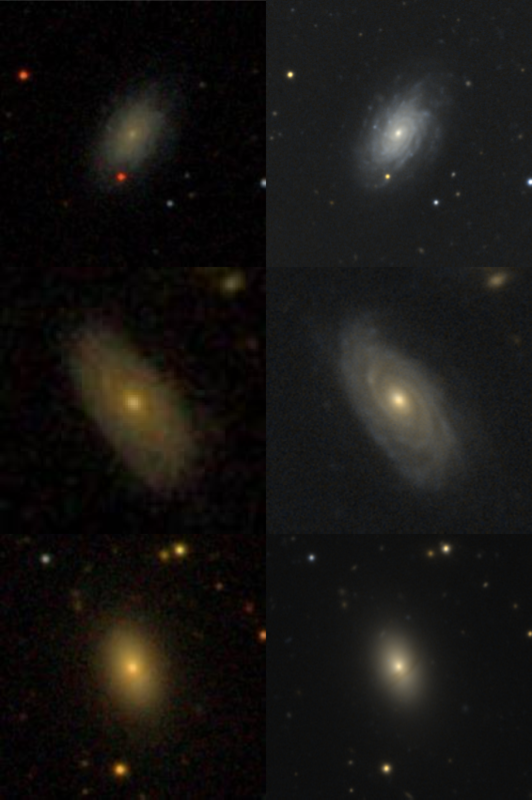 While some of these galaxies have already been looked at by Galaxy Zoo before using Sloan Digital Sky Survey (SDSS) images, the improvement in the resolution and depth of KiDS images over those from SDSS is remarkable! Start classifying these amazing new images now at www.galaxyzoo.org. Next Next post: Galaxy on Penguin Watch?